The evolution would look something like a hill-country family tree, getting uglier as the generations progress: the Rodmans, the Sprewells, the Stephen Jacksons, the Delonte Wests. Bill Laimbeer had unknowingly given birth to a new kind of bad boy in the league, one that would be seeing a much different court than Hubert Davis. Guns, wizards, Grateful Dead bears, obscure cartoon characters — nothing was off-limits in the race to cover every inch of viewable skin. The commissioner sat by and watched as sleeves became commonplace and Birdmen flew to new heights. 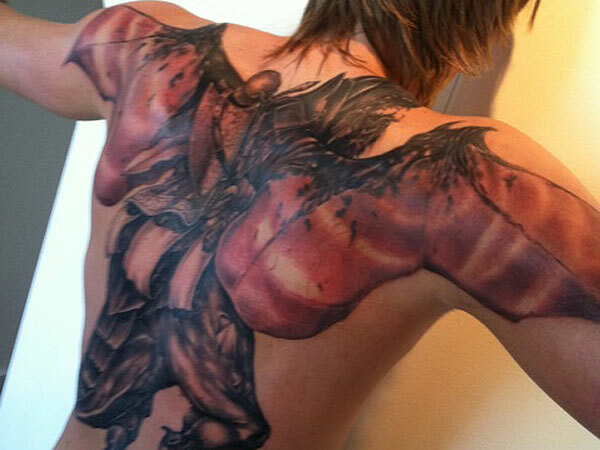 Most blogs seemed to take notice after last year’s infamous Andrei Kirilenko episode, in which the 6-foot-9 Utah Jazz small forward professed his love for Dungeons & Dragons by getting what is possibly the ugliest tattoo known to man. While people fixated on the Russian’s back tat, I scoured the rest of the league and discovered a good deal of laughable ink that was going unnoticed. 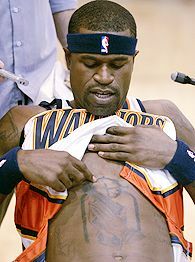 Alan: The weird thing is that DeShawn has a tattoo on his chest of John Wilkes Booth firing a gun at neck Lincoln. Mehar: When you play for the Nets it’s more about the Lincolns than the Benjamins. Alan: This tattoo is also one of those Magic Eye things where if you stare at it the right way, you see the face of another, even more poorly drawn clown. Mehar: Just try fitting this many tattoos into a clown car. Just try it! Alan: Derrick Rose’s nickname is “Pooh” because he reminded his grandma of Winnie the Pooh. Fine. One of the variations on “Pooh” is “Poohdini.” Great. Here’s the thing: “Poohdini” is a word play using “Houdini,” who was not a wizard. Houdini was a magician. So why is this tattoo of “Poohdini” a wizard?! Poohdini should be a Hungarian-American magician with Winnie the Pooh’s head or something. Does anyone have Derrick Rose’s number? I promise I’m only going to use it to talk to him about the factual inaccuracies of his Poohdini tattoo. Mehar: Too bad Poohdini can’t make Iman Shumpert disappear. Mehar: This is just a reminder for the medics that he has a peanut allergy. 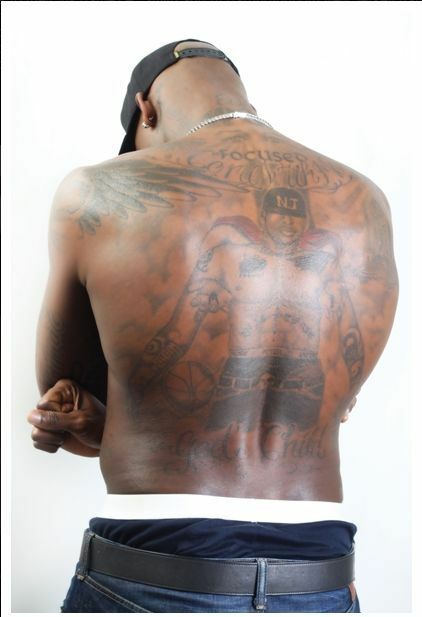 Alan: Is it true that Al drew this tattoo on his own back without being able to see a thing, thus resulting in the approximately first-grade level of art? No. He hired an actual first-grader to do the art. That’s the Al Harrington difference. Mehar: No matter what the tattoo artist says, that angel will not improve your vertical leap. 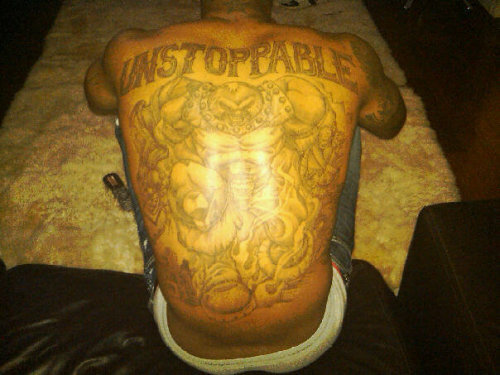 Alan: This is like the 67th-best giant back tattoo of tertiary X-Men villain Juggernaut I’ve ever seen on an NBA backup small forward. 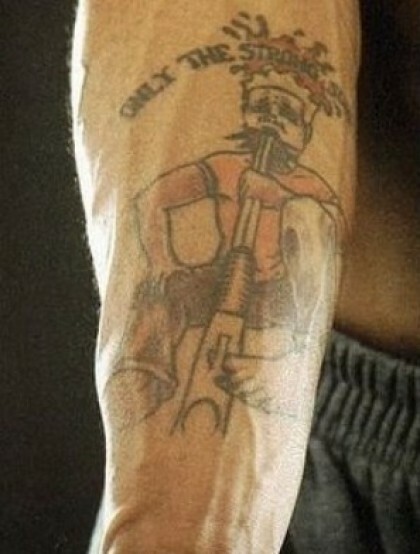 Mehar: Well, this tattoo’s more of a protest against steroid restrictions than anything. Mehar: Those hands are praying for tattoo-removal technology to get better. Alan: I have the same tattoo, but instead of a dragon with red wings, it’s a dragon with no wings and no body and is invisible. Mehar: This is the kind of tattoo that makes a man look distinguished when he gets older. Mehar: Who needs an inspirational speech from Doc Rivers when you can just look down at this? Evan Winiker is a screenwriter and musician who has played in the bands Steel Train and Fun. He has also written for Esquire.com and Relix and is a die-hard Nets fan. No, that is not an error: a Nets fan. Alan Yang is a writer/producer on NBC’s Parks and Recreation as well as an avid basketball enthusiast. Mehar Sethi is writer on FX’s It’s Always Sunny in Philadelphia as well as Adult Swim’s Robot Chicken.